Tap into your passion for education and quality care. Prepare to impact the future of nursing with the online MSN Nurse Educator program. Graduate ready to earn your Nurse Educator certification. Expand your understanding of procedures, skills and clinical reasoning related to health and nursing to improve nursing practice. Gain an understanding of creating materials that encourage professional development and training. Learn to design and implement a curriculum as well as various teaching strategies. As a Nurse Educator, graduates will be prepared to teach in a variety of settings and influence the next generation of nursing professionals. Below is a sample list of courses you will take while enrolled in the online Masters in Nursing Education (MSN-NE) program. For a full list, please download a brochure. 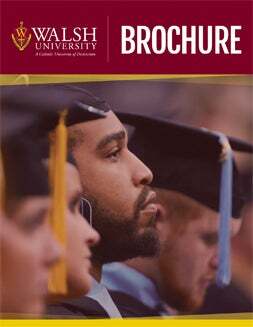 According to the Bureau of Labor Statistics, individuals 25 and older with a master’s degree earned approximately $10,000 more a year than their counterparts with a bachelor’s degree The Nurse Educator program at Walsh prepares NEs to teach in a variety of settings and influence the next generation of nursing professionals. 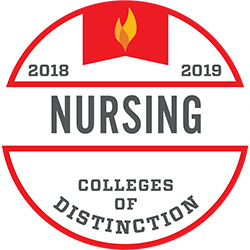 According to the National League for Nursing, Nurse Educators are in demand nationally as the current generation of nurse educators are approaching retirement. The Robert Wood Johnson Foundation observed a nursing faculty shortage and emphasized the need for educators with in-the-field experience. The American Association of Colleges of Nursing conducted a survey where more than 1,000 faculty jobs were vacant. More than 60,000 applicants were turned away from nursing school due to a lack of faculty and educational facilities/resources. Your role as a nurse educator helps fulfill the need for experienced educators who have the knowledge and skills necessary to influence as well as shape the future of nursing.